The Settings app in Windows 10 is meant to replace the traditional Control Panel, but the Control Panel continues to be part of Windows 10. Microsoft is slowly adding all settings and options from the Control Panel to the Settings app and might drop the Control Panel from a future build of Windows 10. Control Panel and Settings app are the two ways to access and alter most of Windows 10 settings. Without access to these two, especially to the Settings app, it’s almost impossible to change most of the default Windows 10 settings. If you share your PC with others and don’t want others to change your settings, you can disable both Control Panel as well as the Settings app on your PC. When the Control Panel or Settings app is disabled, you get “This operation has been cancelled due to restrictions in effect on this computer. Please contact your system administrator” error message when you attempt to open the Control Panel. If you try to open the Settings app, it will close immediately after the launch. 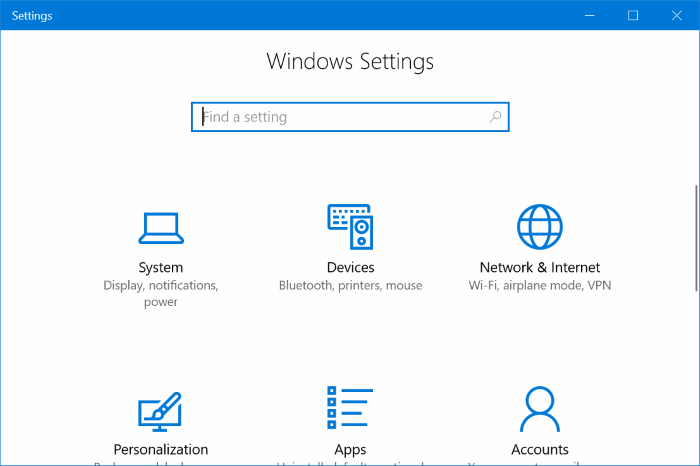 In this guide, we will see how to disable the Settings app and Control Panel in Windows 10. 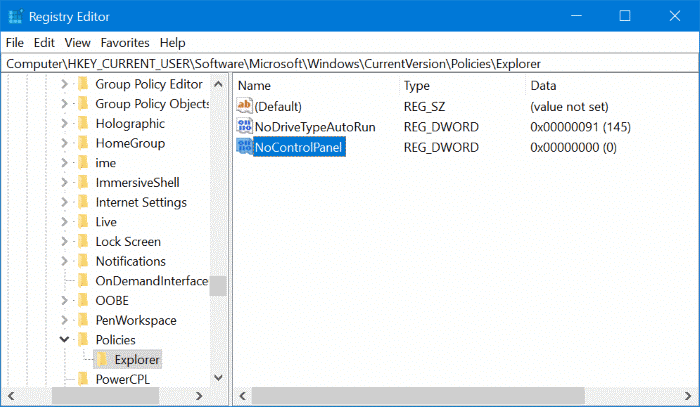 Group Policy Editor is not part of Windows 10 Home edition. Therefore, if you are running Windows 10 Home edition, please refer to the directions mentioned in Method 2 of this article. 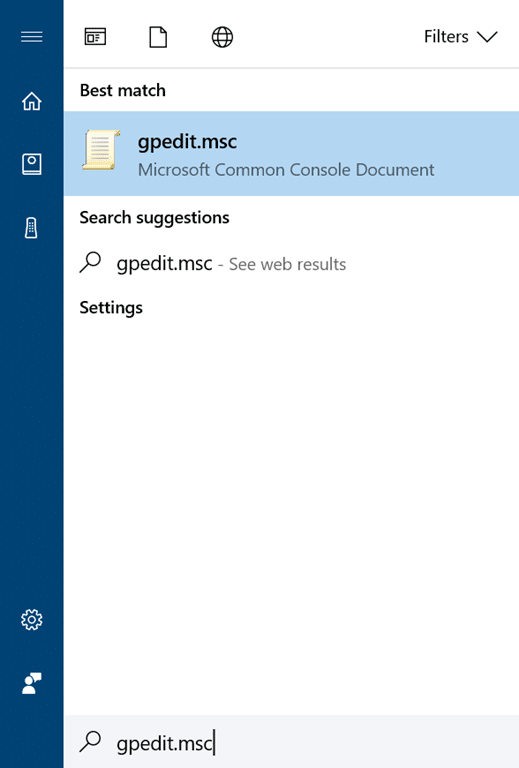 Step 1: In the Start/taskbar search field, type Gpedit.msc and then press Enter key to open the Local Group Policy Editor. 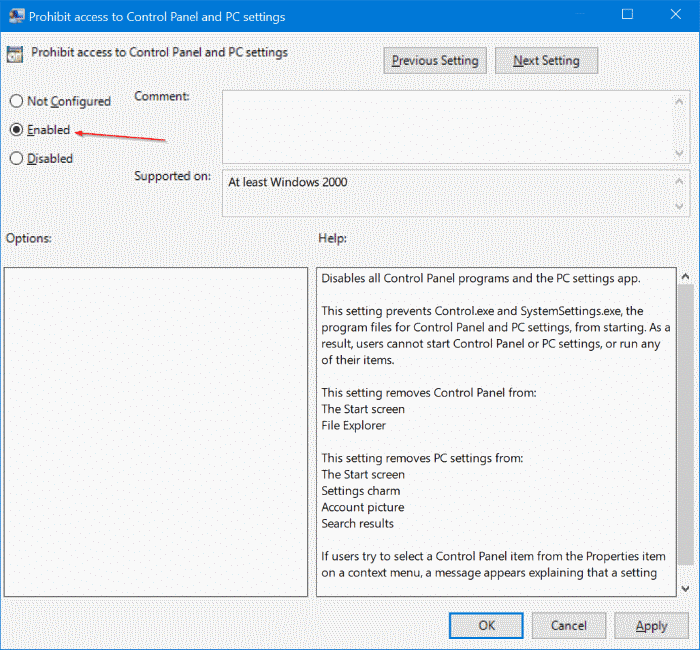 Step 3: Now, on the right-side, look for Prohibit access to Control Panel and PC Settings policy entry. 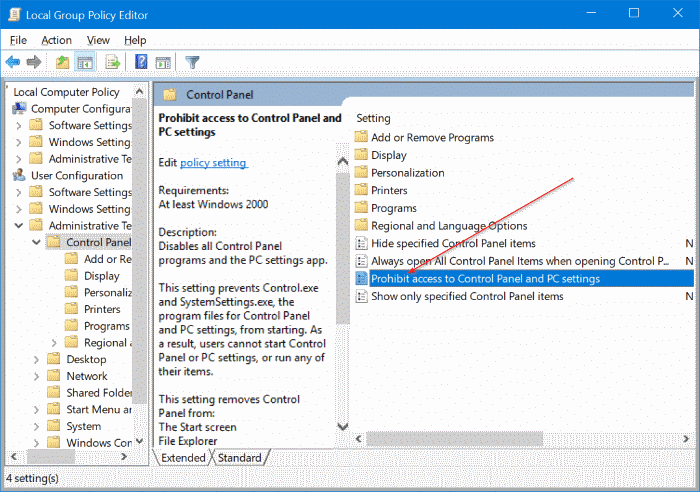 Step 4: Double-click on Prohibit access to Control Panel and PC Settings policy. You should now see the properties dialog. Step 5: In the Properties dialog, select Enabled option. Click Apply button. That’s it! From now onwards, you won’t be able to open the Settings app and Control Panel on your PC. If they are still opening, sign out and sign in again to disable them. 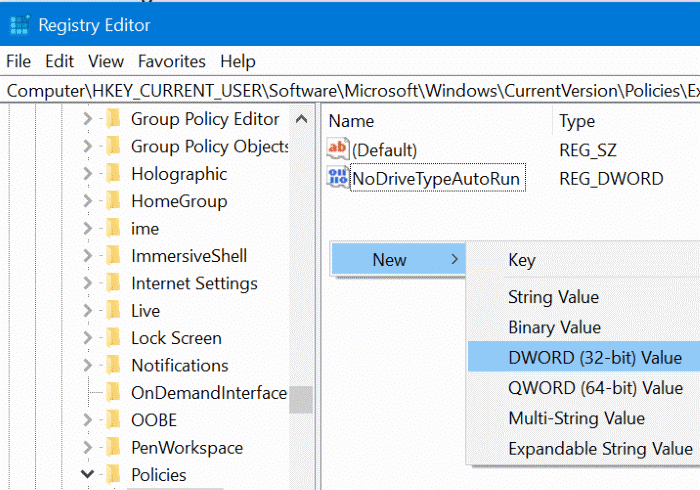 You know that Group Policy Editor is exclusive to Pro and Enterprise editions of Windows 10. 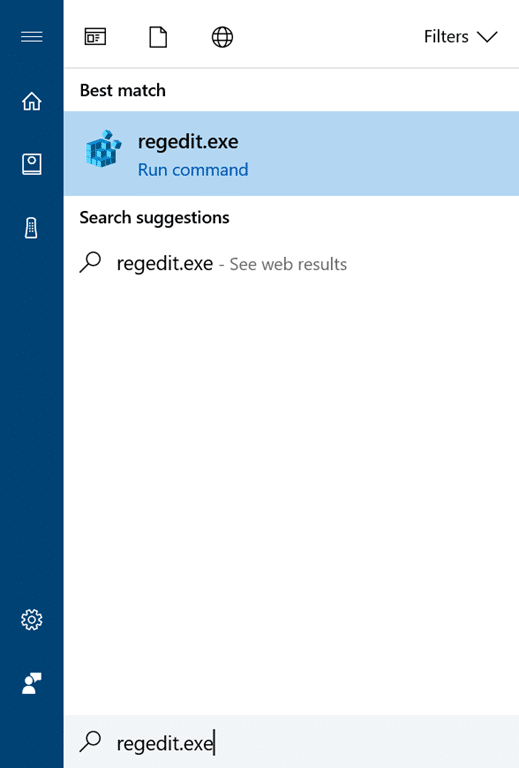 If you are on Windows 10 Home edition, you need to edit Windows Registry to disable the Settings app and Control Panel. We recommend you create a system restore point before manually editing the Registry as you can use the system restore point to restore your Windows 10 PC to a previous date if something goes terribly wrong after editing the Registry, which is very unlikely though. Step 1: Open the Registry Editor. To do so, type Regedit.exe in Start menu/taskbar search box and then press Enter key. Click Yes button when you see the User Account Confirmation screen. 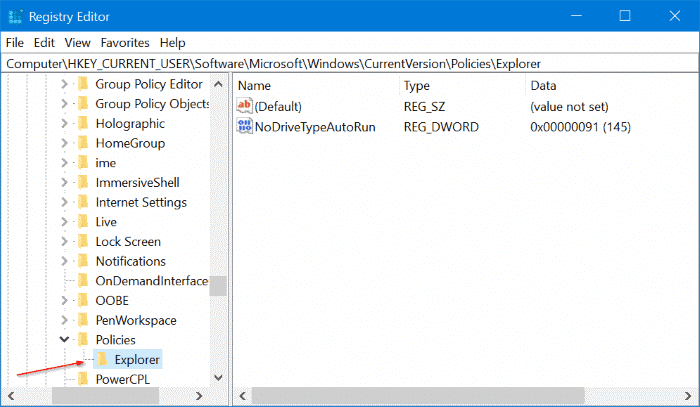 If the Explorer key doesn’t exist, right-click on the Policies key, click New, click Key, and then name the new key as Explorer. 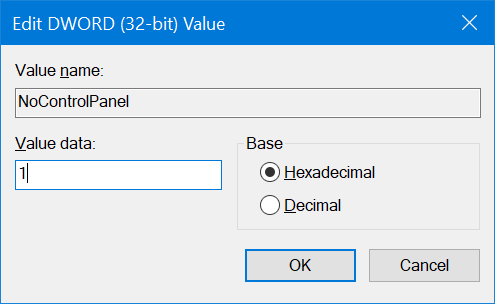 Step 3: Now, on the right-side, create a new DWORD (32-bit) value. This can be done by right-clicking on an empty spot, clicking New, and then clicking DWORD (32-bit) Value. Name the new value as NoControlPanel. To rename it, right-click on it and then click Rename. Step 4: Finally, double-click on the NoControlPanel value, and change its value data to 1 from 0 to disable the Control Panel as well as the Settings app. You may close the Registry Editor now. To enable Control Panel and Settings app again, change the value data of NoControlPanel back to 0 (zero).